It probably came as no surprise to CNS readers to discover that the premier had hopped over to Jamaica this week to attend the swearing in ceremony of that country’s new prime minister. Jamaica is, after all, a close neighbour with enormous ties to Cayman and it is quite fitting that McKeeva Bush would want to attend along with other heads of state in the region. But why did we all have to learn about it from the foreign press and why has he taken five people with him? There may be a very legitimate reason for the six strong delegation but despite emails and phone calls by CNS to the premier’s press secretary and his office, no one has supplied any information about who has accompanied the premier and why, how long he and his five delegates are staying or whether there will be any other important engagements while the officials are visiting Jamaica. We know that Ellio Solomon is one of the delegates because The Jamaican Observer managed to get a snap (right) of the GT backbencher in his casual wear at the airport. However, the other four remain a mystery. Although most of us could hazard a very educated guess as to the rest of the group, really we shouldn’t have to. The travel itineraries of the leaders of democratic countries are not normally “official secrets”. In most democracies the government is usually happy to reveal the trips and adventures of their leaders and ministers when they go off visiting as it is a way to demonstrate not only how important they are but what ‘moving and shaking’ they are doing for the greater good of their country. The public backlash against and the suspicion about the premier’s travels is fuelled by the furtive nature of his trips and the tight lips that surround the very legitimate questions whenever they are asked regarding his whereabouts. The size of the delegations is also very rarely explained or justified, further irritating the public, many of whom these days can barely afford the fuel for a trip to Rum Point. Leaders doneed to travel from time to time for a host of reasons and there is no need for secrecy. If there is sound justification for a trip and if costs are kept to a minimum, no leader should be worried about a public outcry. After all, we're only paying for it. (CNS): An updated version of government information which is generally available to the public has been published this week in the Government Gazette. The 700 plus page document is part of the obligation under the Freedom of Information Law of all public authorities to maintain a publication scheme. The document is supposed to make information readily available to the public to prevent the need for written freedom of information requests and to encourage public authorities to proactively publish information and develop a culture of openness. The document lists information which is readily available from the members of boards to the policies and procedures of the various departments. The publication scheme does not include the documents that public authorities have disclosed as a result of Freedom of Information requests. Every public authority is supposed to publish the documents revealed to the public via freedom of information requests in a disclosure log on their websites. 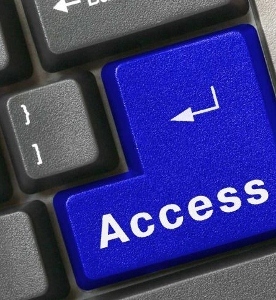 However, there are still several government entities that have not yet developed a website and the majority of public authorities that have a website are still not updating their disclosure logs or making the information accessible to the public. (CNS): The Cayman Islands premier is leading a delegation of Cayman officials that will be among the 10,000 guests invited to watch Portia Simpson-Miller sworn in as Jamaica’s prime minister this afternoon. The ceremony is scheduled for 4pm Thursday afternoon, when the leader of the PNP will be sworn into office following her party’s landslide victoryat last week’s general election. According to the Jamaica Observer, there will be six representatives from the Cayman Islands including McKeeva Bush in attendance but CNS has been unable to confirm the details with local officials regarding who the five people accompanying him are or if the visit will include any other engagements. The ceremony is expected to be a sober affair with horns and other noise makers banned. "There are two themes for the inauguration, sobriety and national unity," Inauguration Committee chairman Phillip Paulwell told the press in Jamaica yesterday about the ceremony which will take place at Kings House. "We are going to be insisting on order and discipline." As well as the Cayman Islands six person delegation, officials from the Caribbean Community (Caricom), Cuba headed by a vice president, prime ministers from around the Caribbean, representatives from the Diaspora, officials of the United States Congress, and members of the local business, political, academic and other communities are among the 10,000 guests invited. Simpson Miller has reportedly mandated that the cost of the ceremony and function be kept to a minimum. "Before the elections, there was an inter-ministerial team that was planning a swearing-in ceremony and they had established a budget of $4.2 million (J$),” Paulwell said. “The prime minister-designate wanted to cut that to $2.9 million. We only settled at $3.3 million because procurement was done before and contracts committed to. 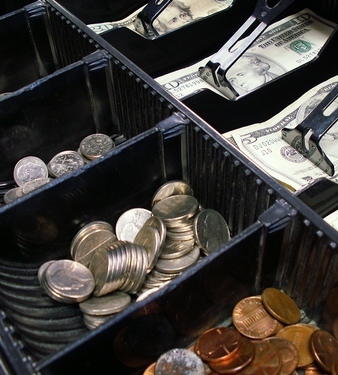 But not a cent more, she has insisted." He added that the reception will only be for the visiting heads and for no more than forty people. 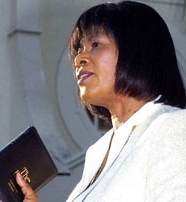 Simpson Miller served as prime minister for 530 days between March 2006 and September 2007 when she lost that general election to Bruce Golding's JLP. "This time it is different from when I was first sworn in. The first time was from the delegates of the People's National Party. This time, I am going with the mandate of the majority of the Jamaican people who voted in the elections," Simpson Miller told the press this week. Simpson Miller, whose PNP won 42 of the 63 parliamentary seats on 29 December, is expected to begin revealing the Cabinet posts on Friday and the transition committee chair Dr Omar Davies said the party was on target to have a fully functional government up and running by next week. A former minister of finance and planning in the last PNP administration, Davis said if he could choose his post he would be in charge of “public cleansing”, not a wish to head up the country’s garbage department but to address corruption in the public service. 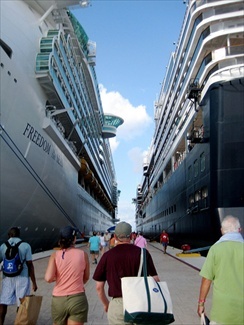 (CNS): The group of local sea captains that are promoting the idea of developing the cruise berthing facilities in the South Sound-Red Bay area have sent their proposals to the main cruise lines and the Florida Caribbean Cruise Association (FCCA). With government still backing George Town as the location for the multi-million dollar berthing project in partnership with Chinese Harbour Engineering Company, the local mariners and other supporters of the alternative have gone direct to those who will be using the facilities to see if they can gain support from them for the proposal. Burns Conolly, who has been acting as a spokesperson for the group, explained that the proposals had already been circulated among some of the captains who regularly bring cruise ships into Cayman and who have already indicated their support for what the local group says is a true safe harbour that can accommodate ships 365 days per year. Although the premier recently revealed that he did not think the berthing facilities could go anywhere now but George Town, Conolly said that if the alternative proposal could gain the support of the main cruise lines – Carnival and Royal Caribbean – as well as the FCCA, government and the local merchants in George Town might also be persuaded. Until the project starts, Conolly said, it is still not too late to re-think the location. Acknowledging the concerns of the George Town merchants, he said that they would not lose out on the alternative proposal, not least because it would provide certainty. Conolly emphasised that the George Town retailers cannot do any business when there are no cruise ships and there will be many days in the year when the oasis class of cruise ships will not be able to berth in George Town. Spotts dock will not provide a real bad weather alternative, which means there will still be many days with no ships, despite the massive financial investment in the George Town piers. Conolly noted that with the current plans the George Town retailers will now have to compete with a two storey captive retail complex that every single passenger will be walking through before they set foot on Grand Cayman. The alternative proposal would bus passengers into the heart of downtown George Town. With the sea captains now targeting the cruise lines directly, Captain Bryan Ebanks, one of the North Sound water sports operators backing the alternative, said that they had done all they could to try and demonstrate the sense of the South Sound proposal and it was now in the hands of the cruise lines. 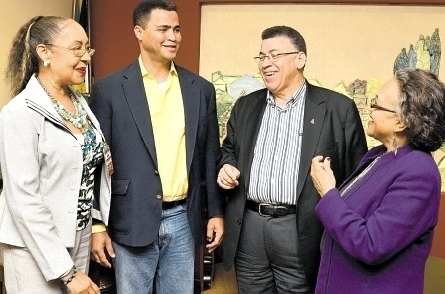 He warned that going ahead with the port in George Town would be a disaster. Fearing the worst, regardless of how much more sensible the South Sound alternative was, Ebanks said he did not think the people that had the power to do something would listen. At a recent public meeting on the state of local tourism, the premier indicated that he still believed the North Sound was the best location for the cruise port but with extensive opposition to that proposal he said that George Town was where the facilities had to go. He said the issue of South Sound may well provide an option for the future but right now the facilities had to be developed in the capital, where people had invested millions of dollars in retail and the infrastructure. See more on cruise port alternative here. (CNS): The increase in government revenues over the last year is down to the investment of Cayman based firms in local development and not external investors, the independent member for North Side suggested this week as he reflected on the premier’s New Year message. Ezzard Miller said any advancements or recent success in the local economy were not down to foreign investors or the major projects that he said the premier has been pushing over the last two years but to local construction companies and developers who are taking the chance and going ahead with commercial and residential projects. As he looked forward to the next twelve months, Miller said it was all about the economy and that Cayman’s economic recovery would depend on local developers and local businesses, which government should be encouraging. He said that whatever gains the treasury made in the last few months were down to Caymanians. “These developers are going ahead with different projects across Grand Cayman, despite the tough times, and they are doing it with very few incentives and concessions which the premier is offering to other projects led by external investors that have not yet started the work,” Miller told CNS Tuesday, adding that government needed to incentivise local people to invest collectively in the islands' recovery. Miller told CNS that he firmly believed government must begin to focus on Caymanian businesses to fuel the economic turnaround. The independent member said he was glad to see that McKeeva Bush was at least still thinking about the economy of the country in his most recent message to the people, However, Miller said the projects that Bush is depending on so heavily would not provide much relief for most local people. “With the exception of those players directly involved, very few Caymanians will derive much benefit from any of this projects being heralded by the premier,” he said. Cayman cannot rely on foreign investors for an economic turnaround, Miller said, because in most cases where the major projects were concerned the investment coming in would leave when it became profit, rarely benefitting the local people. “We need to encourage Caymanian entrepreneurship and local ownership with the sorts of concessions currently only reserved for foreign investors and stop depending on or hoping external conglomerates will create jobs and wealth for us,” Miller said. 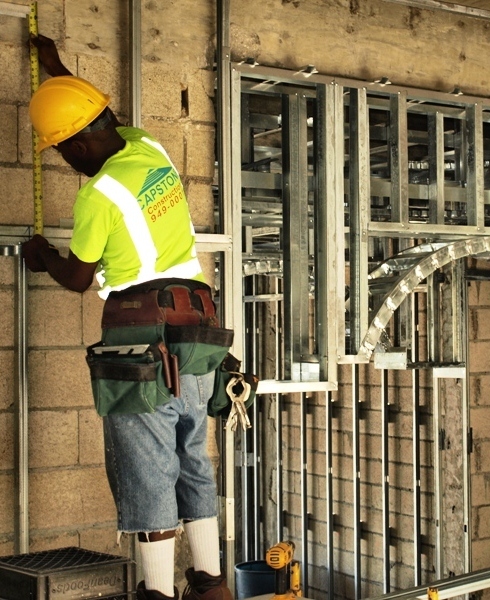 With more than 19,000 people on work permits, Miller pointed out that Cayman did not have a shortage of jobs; the problem, he said, was that Caymanians are not considered capable of holding these jobs by the boards, which continue to grant work permits in the face of rising unemployment among Caymanians. See Miller’s New Year Message below.